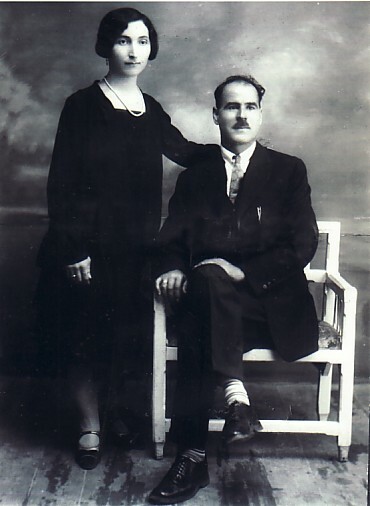 Above: My parents, Georgios and Evdoxia. 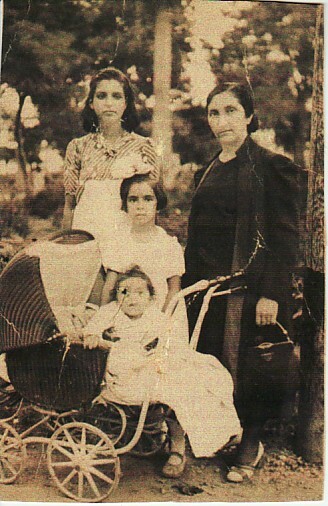 Above Right: As a baby, with my mother, Evdoxia (right) and my sister, Mary (child), and I am in the pram. 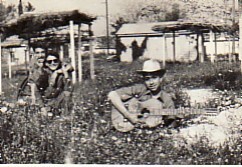 Above: Playing guitar- with "Tsemelikis" and Christos (on the left). 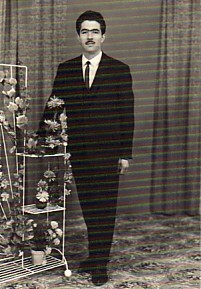 Above Right: At the panygiri of Holy Trinity at Plagia. 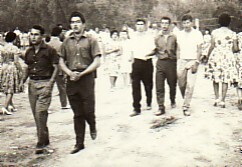 Kostantinos Vounatsos (left) and I are at the front. 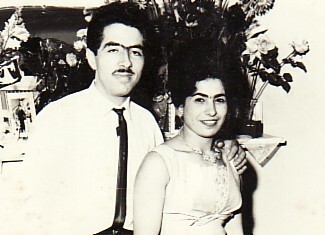 Above Right: Engaged with Irini Armenaka. 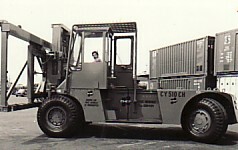 Above: Working on Sydney' s Waterfront, where I worked there for over twenty years (1970-1993). 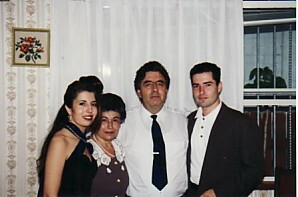 Above Right: With my wife, Irini, and our children, Evdoxia and Georgios. 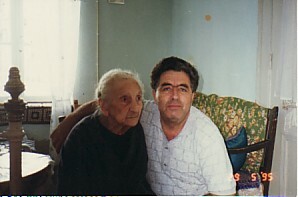 Above: With my mother, Evdoxia, during our holiday in Greece. 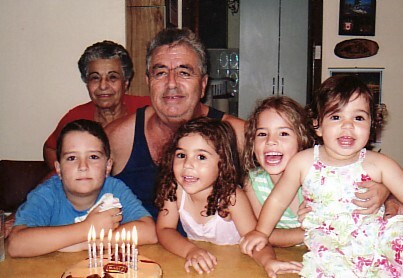 Above Right: With my wife, Irini, and grandchildren.